You know what I mean. You wake up late, can't find your keys, you forgot to charge your phone last night, and you have to be to class or work in 20 minutes. There's a lot of times where I just opt out of wearing makeup at all for class, but for work? I feel like if there's a time to look super put together with just a dash of makeup, it's for work. Particularly if you have a professional job or internship, it's really important to make a good impression on everyone you meet. 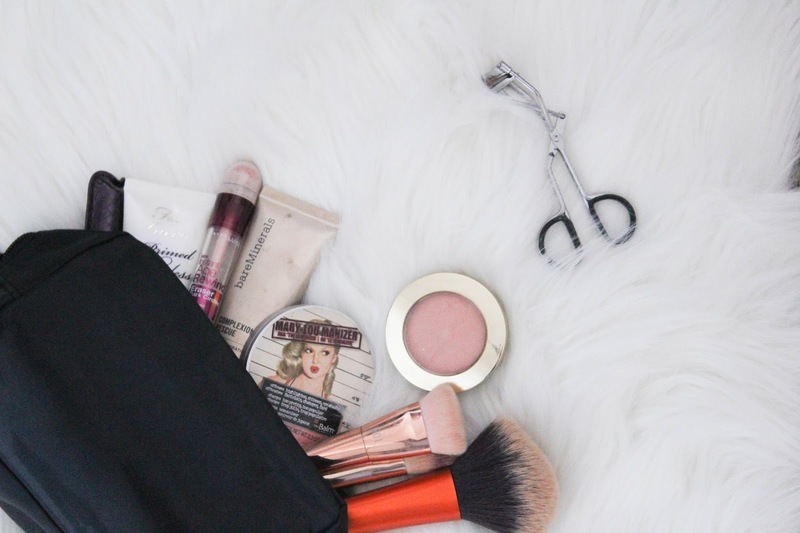 If you find yourself in a rush in the mornings, these quick makeup tips are for you! Tinted moisturizers are my favorite for hectic mornings because they are so easy to apply and moisturize plus give some coverage in just one step. If I'm really in a rush and I want to wear makeup, I'll just apply it with my fingers and it blends perfectly! My absolute favorite tinted moisturizer is this one because it practically feels like air on your skin. The formula is so light and the coverage is just enough to give you that "my skin but better" look. Use your bronzer as a quick crease color. I usually opt out of eyeshadow all together on days when I'm in a rush. My favorite little trick is to just grab a little bit of my bronzer on a fluffy crease brush and swipe it in the crease of my eye to create some depth. 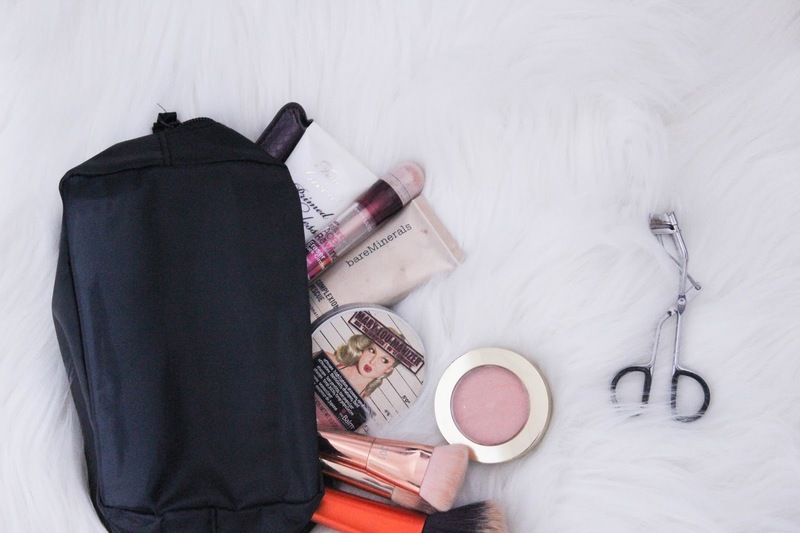 This is the perfect alternative to grabbing a crease shade from and eyeshadow palette! Blush is your best friend. I've always been a fan of blush, but it's especially awesome when you don't have a lot of time in the morning but you want that nice, flushed glow that we all love. I love to use this blush because it has the slightest bit of shimmer and it's the perfect natural blush shade. It adds a little shimmer and a little color so it's great for a busy morning. Tinted lip balm to the rescue. 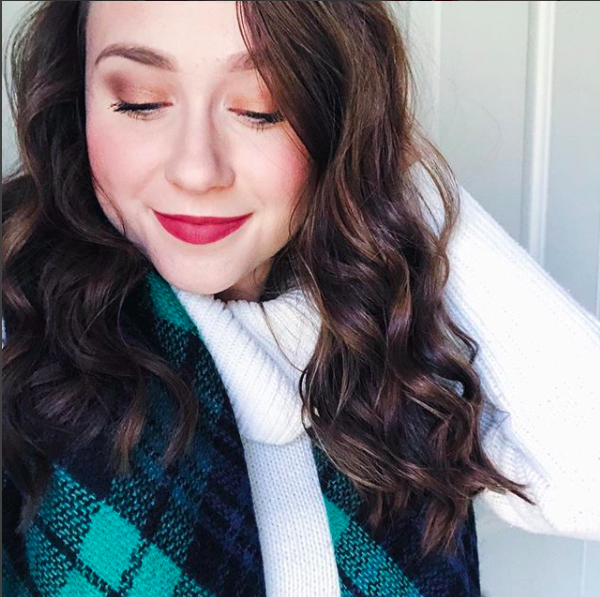 A flush of color on your lips is a great way to make you look put together. I keep a tinted lip balm in my bag that I can use whenever I forget a lip product and find myself with foundation covered lips (the weirdest and creepiest look ever). I also always have a variety on hand because they're the perfect quick staple for an easy makeup routine! Always keep your eyebrows groomed. There's nothing worse than realizing that you have a bunch of stray hairs all around your eyebrows and not having time to pluck/thread/wax (whatever your preference) before heading out the door. My tip here is to simply keep them groomed and clean. Don't let things get out of control in the eyebrow area because you'll likely find yourself in a bind with no time left to spare! Don't skimp on the mascara. Nothing makes you look more aware than a few generous coats of mascara! Especially when you've just woken up 20 minutes ago and you're ready to run out the door, taking just a few moments to apply some mascara will make a world of difference. Not only does mascara make your eyes look bigger and more aware, but it also defines your eyes so you can completely skip the liner in the event of a rushed morning. 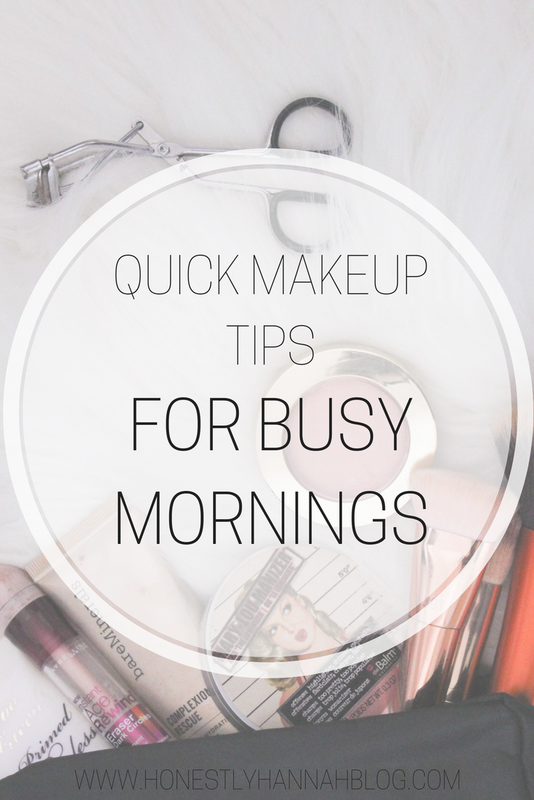 What are your tips for looking put together on busy mornings? If I'm on a rush, mascara, blush, and concealer are my priority. Also, a tinted moisturizer.